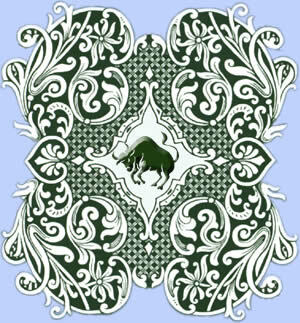 As the assignment of the element earth in the Taurus Zodiac, he is itself deeply rooted, a fundamentalist, but also a savourer. His mission in life is primarily in the bewaring of of the existing knowledge and the development of the sense of joy. The bull is reliable, gregarious but highly productive and safety-oriented, which is reflected in the choice of profession. Your Taurus horoscope by the original Kipper Tarot will give you an outlook of your possible future of today. If you must make a decision today, or if you have a question, the Taurus horoscope you will also give you an advise.